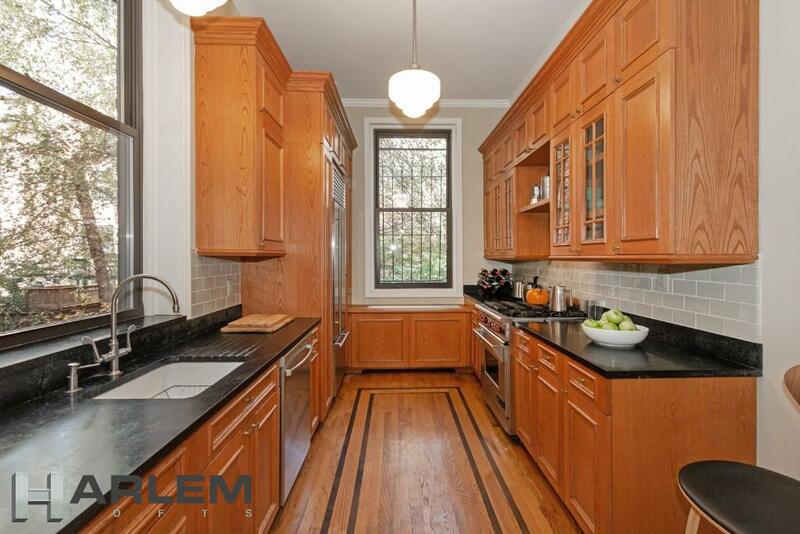 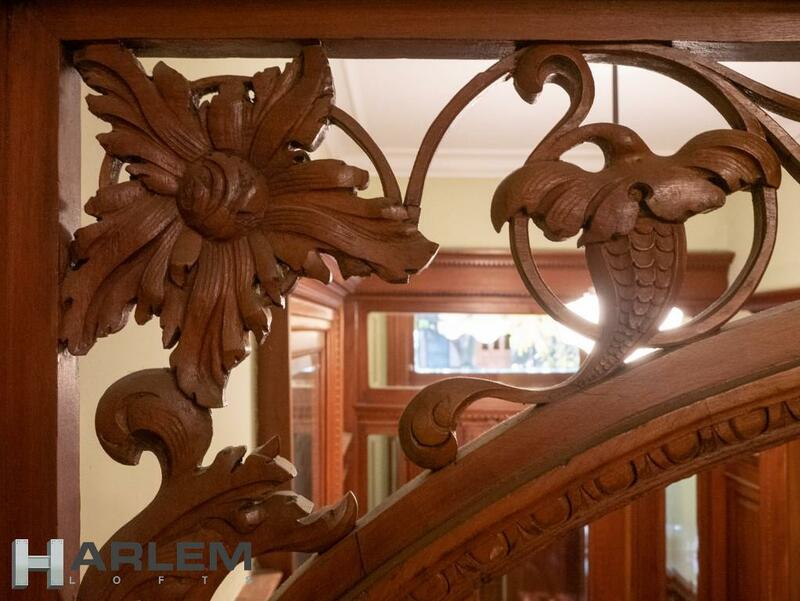 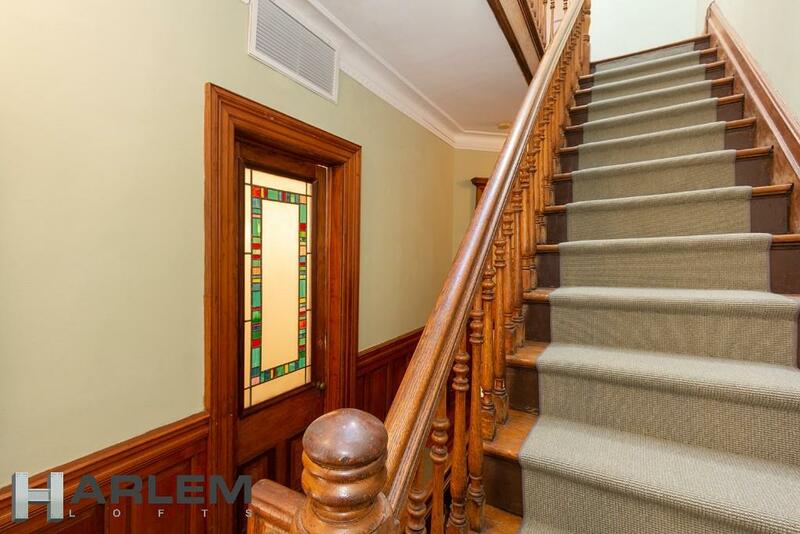 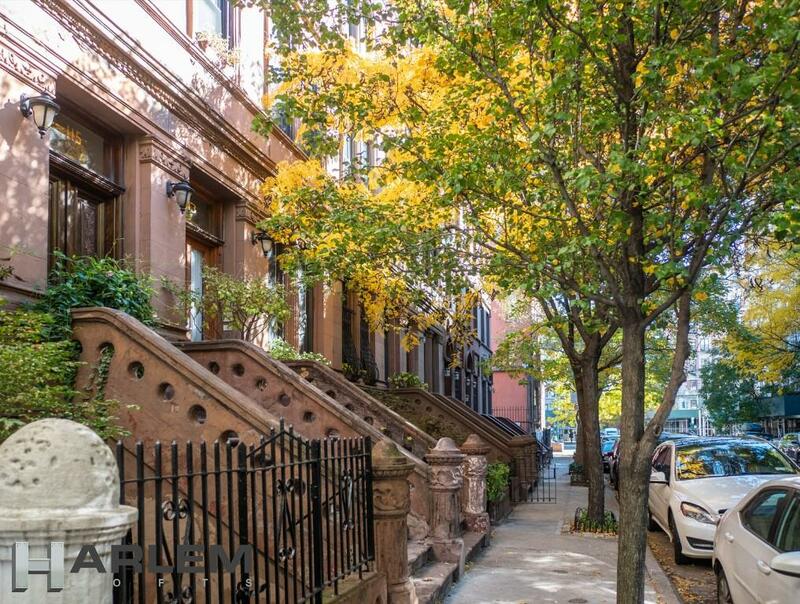 Situated on a leafy street in the heart of the Mount Morris Park Historic District in Renaissance Harlem, this elegant Landmarked 2-unit Renaissance Revival brownstone built in 1895-96 by Neville and Bagge is in pristine condition. 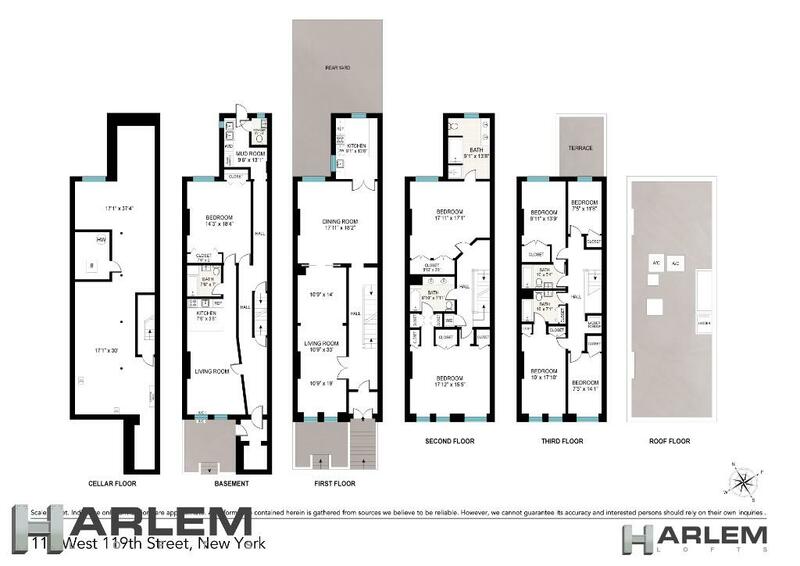 The building is 19-feet wide and 52.5-feet long across its four floors, with an additional 13-foot three floor extension, giving a total of 4,600 square feet of premium quality space, and the extension is topped by a sunny terrace. 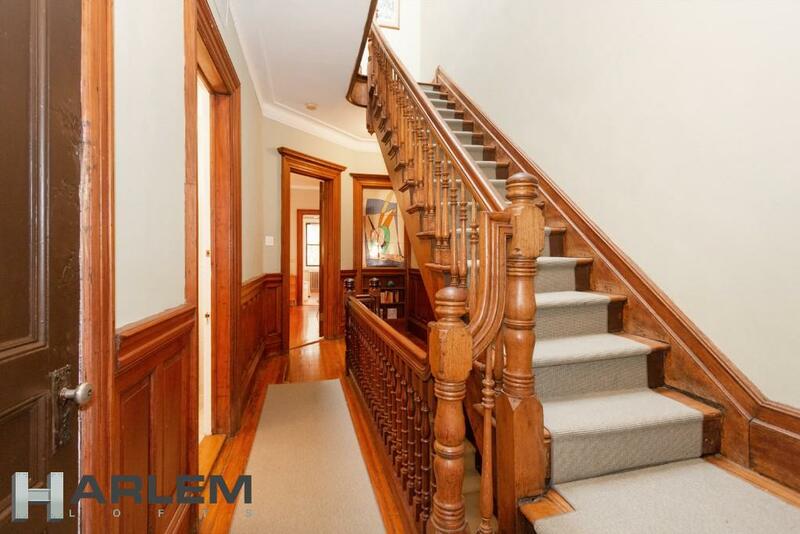 The exterior features carved egg-and-dart, denticulated and foliate-patterned coursing, fluted pilasters, a heavy stone stoop with carved newels, arch-headed window openings on the third floor, and a cornice. 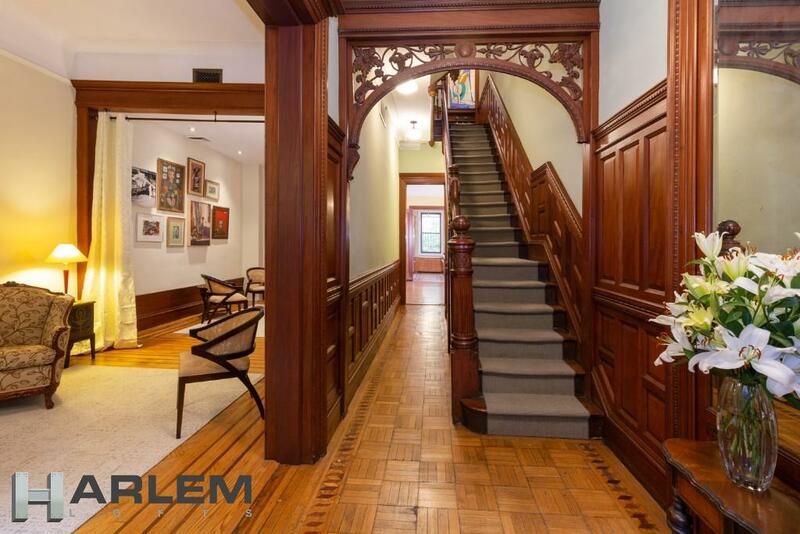 The interior of this wonderful home retains the original outstanding quality mahogany and tiger oak woodwork, parquet floors, pocket doors, operable skylights and internal stained-glass windows, and is divided into a beautiful Owner’s Triplex on the upper three floors, and a Garden Apartment below. 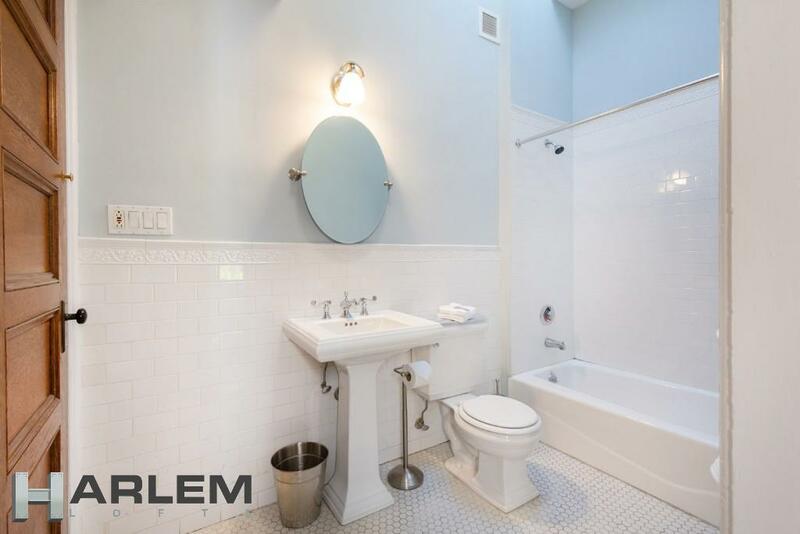 The Triplex features a huge living room, formal dining room and modern kitchen with Sub-Zero refrigerator, six (6) well-appointed bedrooms, and four (4) beautiful bathrooms including a gorgeous master bath tiled in Temiera stonework, and more! 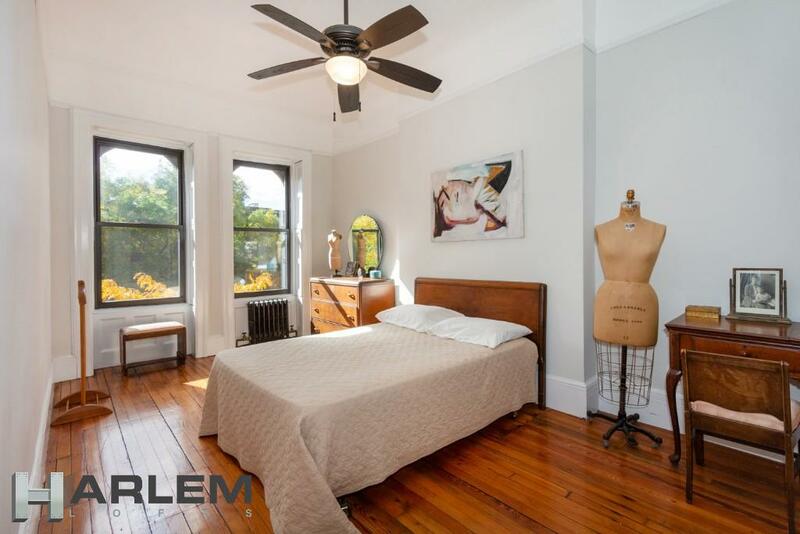 The 13-foot ceilings and 8-foot windows with the original built-in mahogany shutters give an amazing sense of light, and overlook a peaceful back yard. 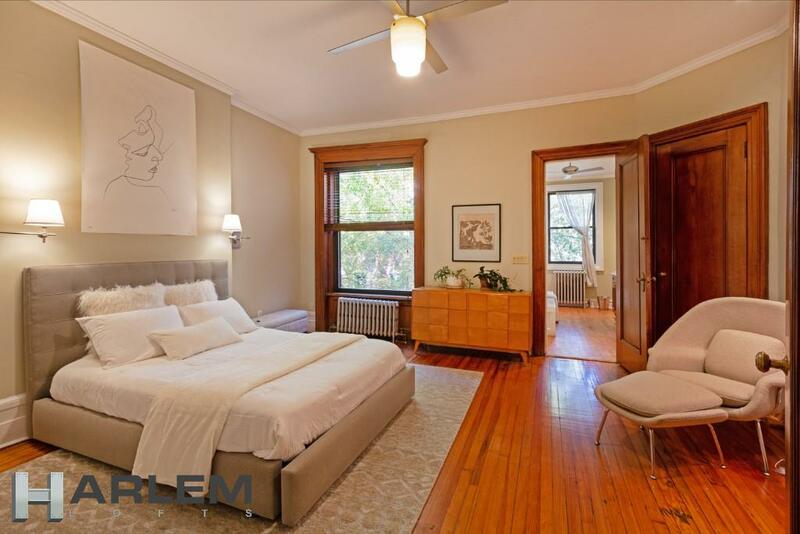 The spacious Garden Apartment below includes a living room and kitchen, bedroom and bath. 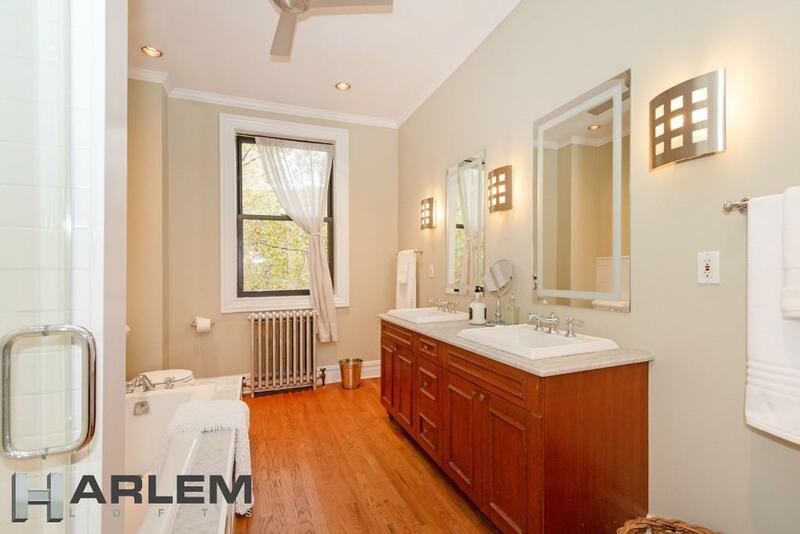 The garden floor also has a common laundry and additional half bath. 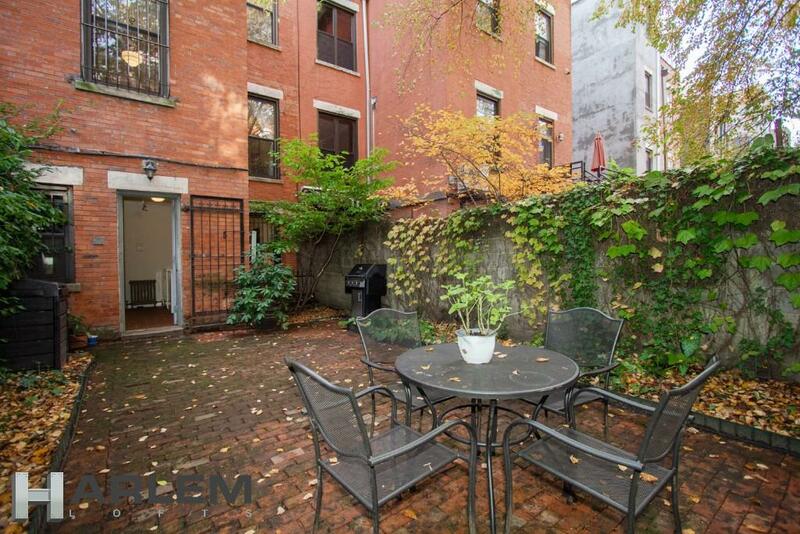 And, if all this wasn’t enough, there is a spacious cellar, which is not included in the current square footage. 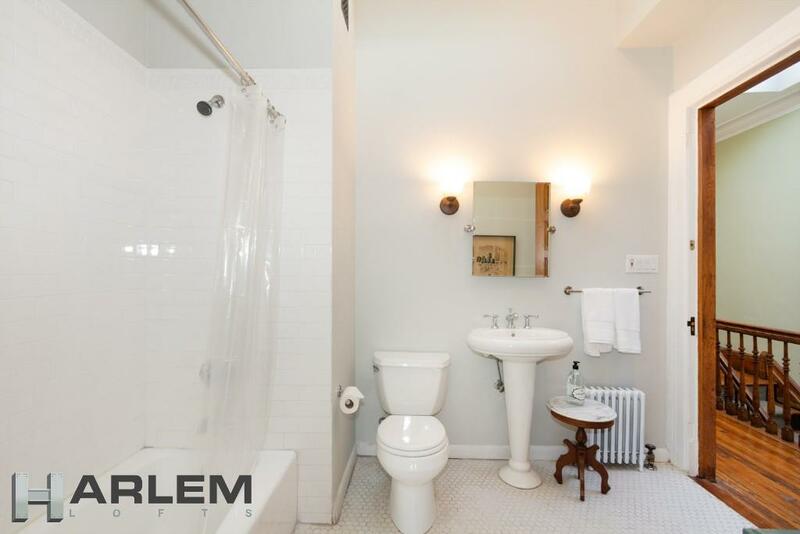 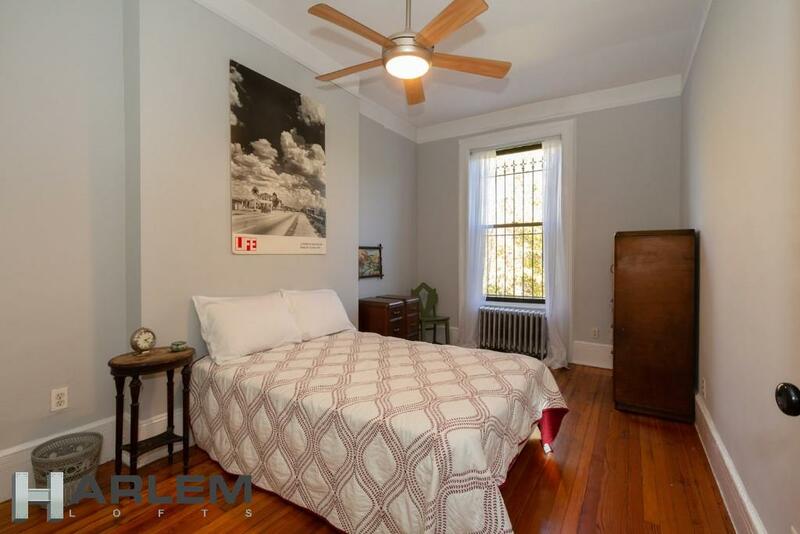 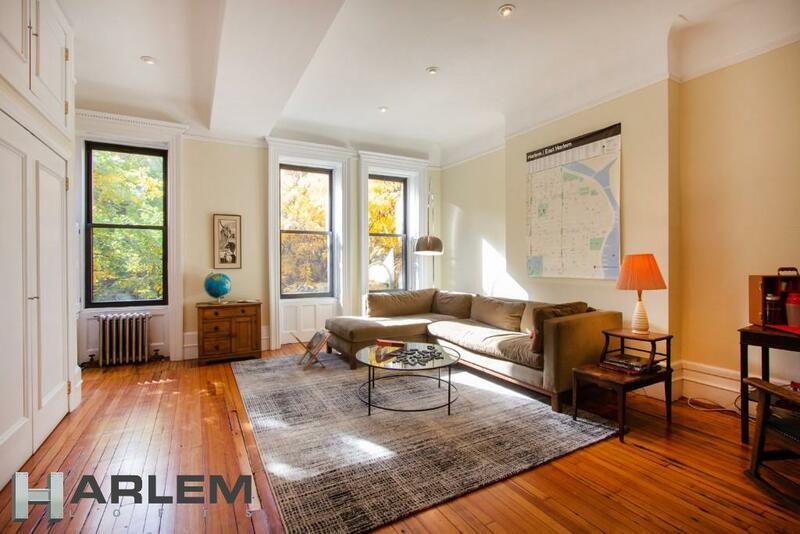 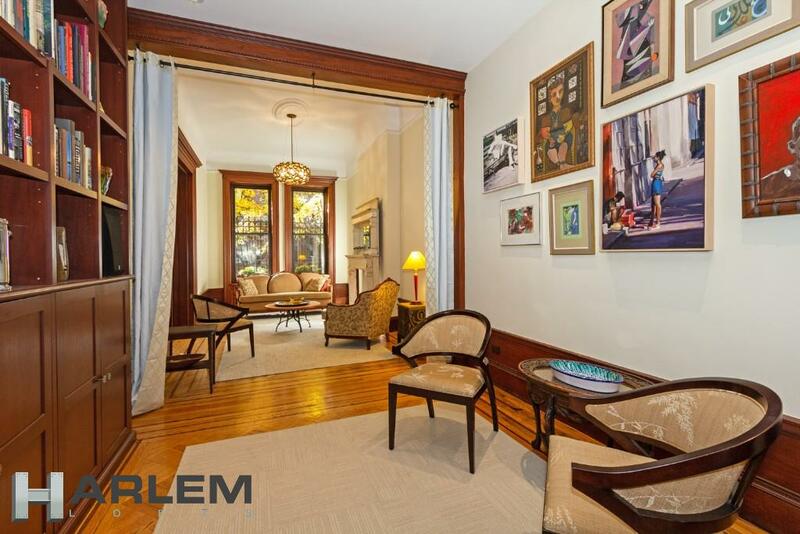 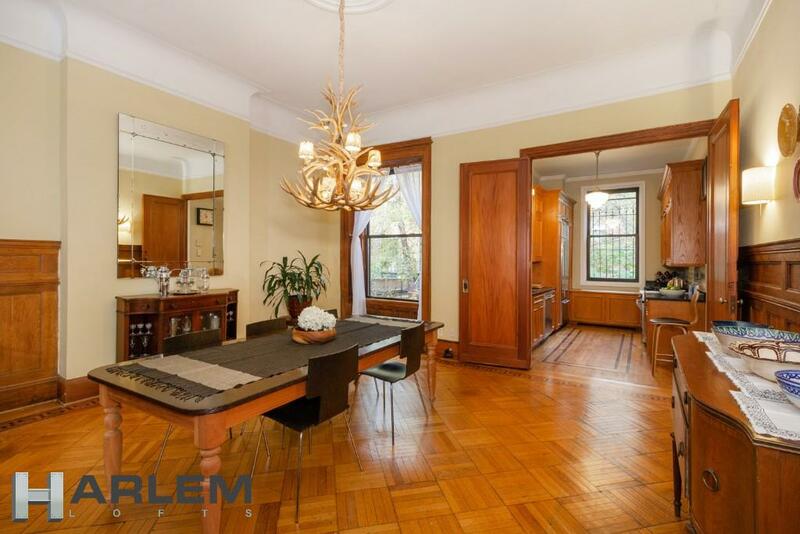 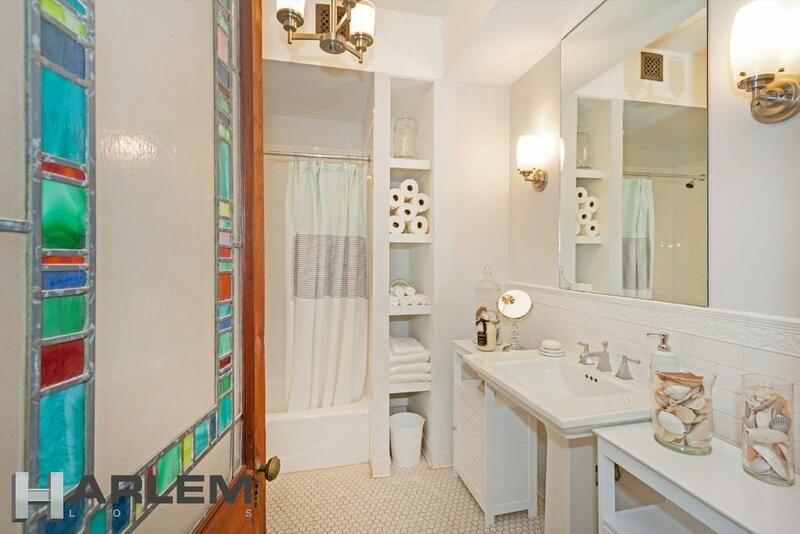 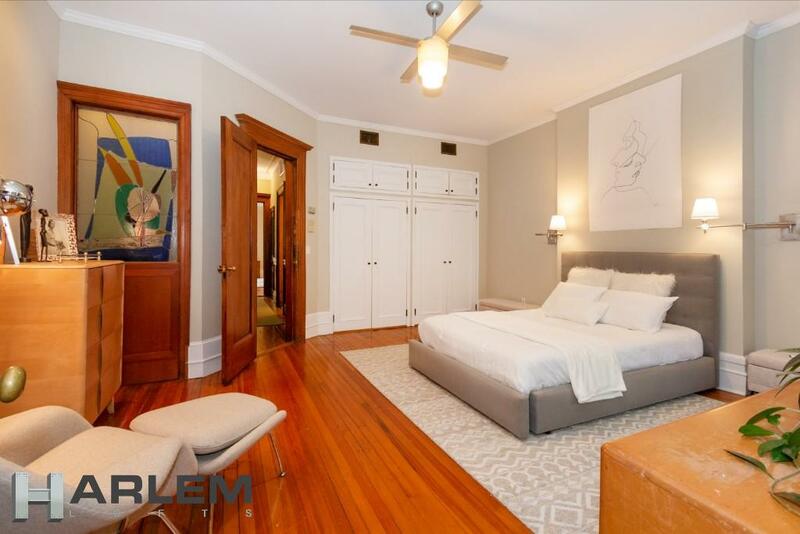 This lovely home is located a few steps from Harlem’s Restaurant Row, and conveniently close to transportation options including the 2/3 and B/C subway lines and the M2, M7 and M101 bus lines. 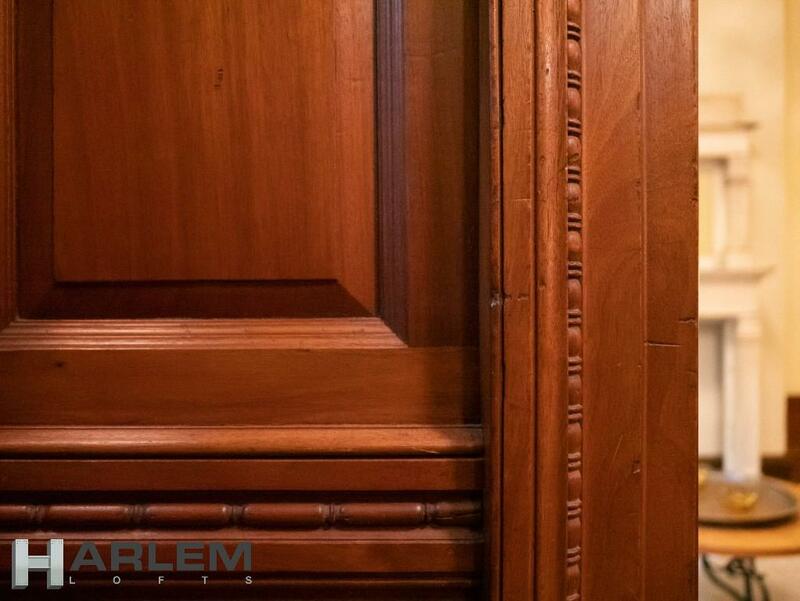 Shopping on 125th Street is just a short walk away, featuring a brand-new Whole Foods and Bed Bath and Beyond. 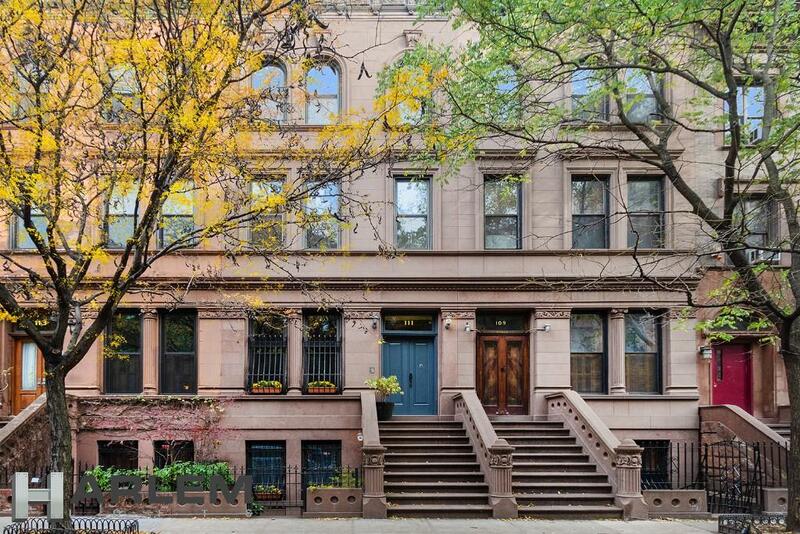 For recreation, the home is nestled between Mount Morris Park, Morningside Park and Central Park. 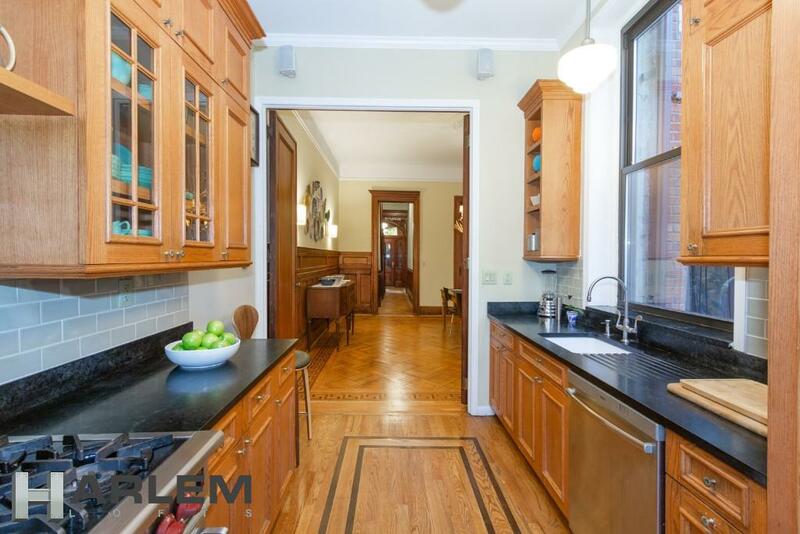 This property is delivered vacant with all paperwork provided. 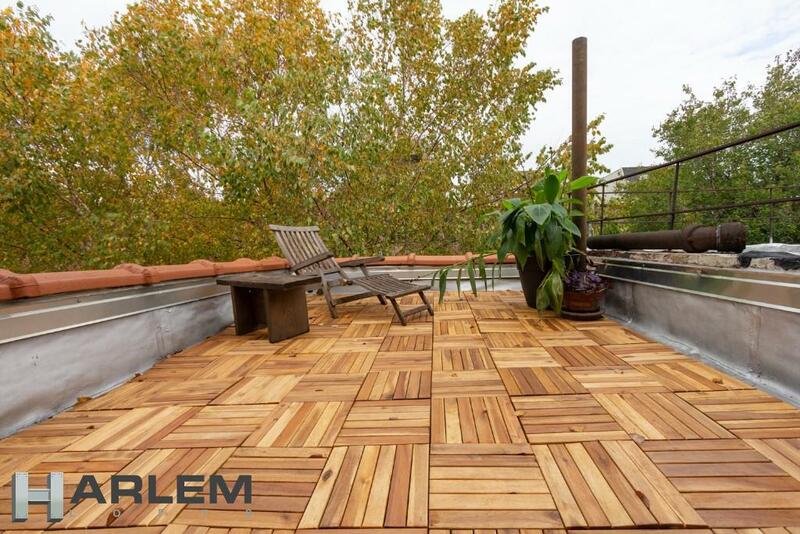 Copyright © 2013 Harlem Lofts Inc..